Carrying a concealed weapon on your ankle by using an ankle holster is good for emergency situations. Not many people think to look at your feet when they’re committing a crime. After all, the most common place to carry a weapon is around your waist. An ankle holster is perfect for keeping your backup weapon, just in case something happens to the one you store at the hip. 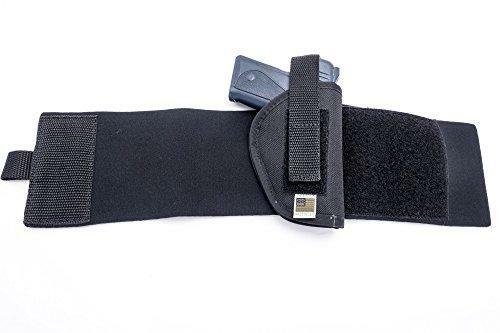 Buying a high quality concealed ankle holster that allows for an easy draw is essential if you’re using it to store a backup weapon for self-defense. Therefore, the following list of the top five holsters is ranked based on customer reviews, ease of draw, and comfort. This ankle holster has a vinyl vapor barrier that prevents moisture from building on your gun. The edges are turned under to prevent fraying. It is ideal for law enforcement because it fits the S&W Bodyguard 380 with Laser. The Pro-Tech Ankle Holster is also good for those who must wear dress pants to work because the outline of the firearm doesn’t show through. It features an adjustable nylon velcro strap for securing your weapon. The outer layer of the holster is made of Cordura ballistic nylon. It is stitched with strong bonded nylon and double stitched at pressure points for a durable design. This holster is designed for people who need to carry a concealed weapon on a daily basis. It’s incredibly comfortable to wear for long periods of time and provides deep concealment. The holster features a wide neoprene ankle band, sheepskin padding, and Velcro closure for extended comfort. Speed of draw was not sacrificed in the design either; it has a reinforced thumb break to ensure hasty drawing of the weapon. The Galco Ankle Glove/Ankle Holster for Glock 26, 27, 33 is suitable for holding semi-automatic pistols and double-action revolvers. It also comes in both a right-handed and left-handed version. 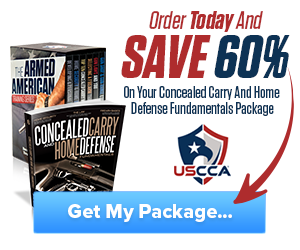 Price: $95.96 for the right-handed holster and $97.56 for the left-handed version. 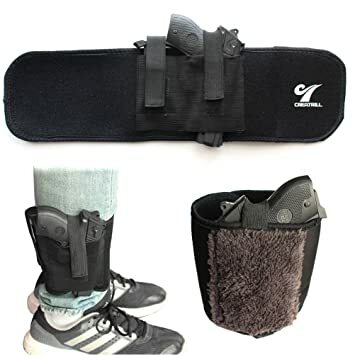 Made of a neoprene ankle brace and high-quality nylon materials, the Outbags OB-31ANK Ankle Holster is durable and won’t lose elasticity over time like holsters made of elastic do. This durable design makes it suitable for everyday use. It’s also very discreet, so you can wear jeans or khakis without the pistol printing through your pants. 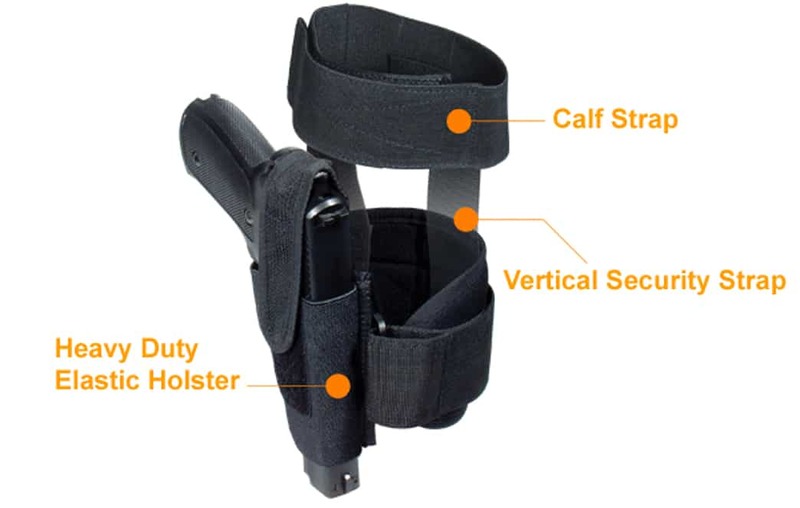 The Outbags OB-31ANK Ankle Holster works well as a 38 special holster or a .22 holster. It is available in right-hand draw and left-hand draw at the same price. 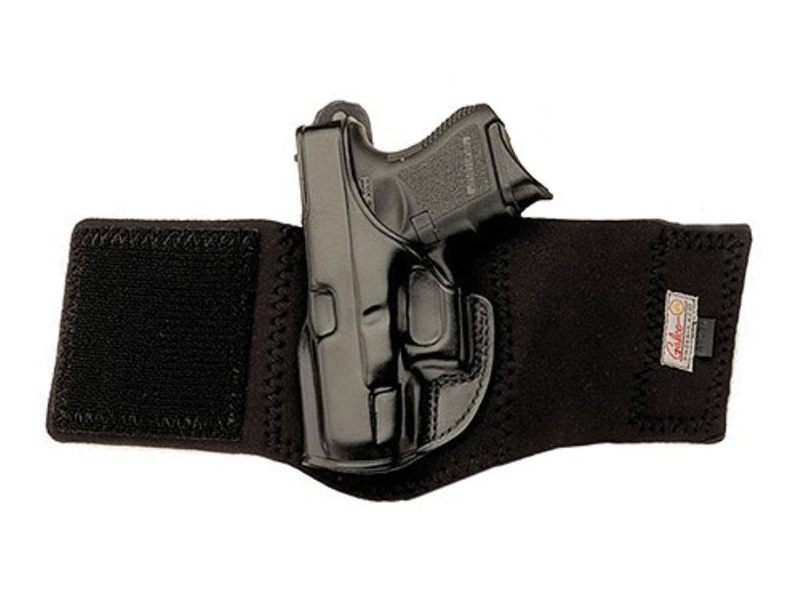 This holster also features a one-inch adjustable strap for securing your pistol. What’s more, Outbags holsters are made in the USA for those who prefer buying American-made products. Designed for women, the Neoprene Ankle Holster with Padding for Concealed Carry mostly fits women. Men who have smaller ankles will find this holster to work well. What’s great about this concealed carry holster is it includes a spare magazine pouch and an extra elastic secure strap. The ankle holster features extra plush padding for additional comfort. Your pistol stays securely in place thanks to the retention velcro strap. 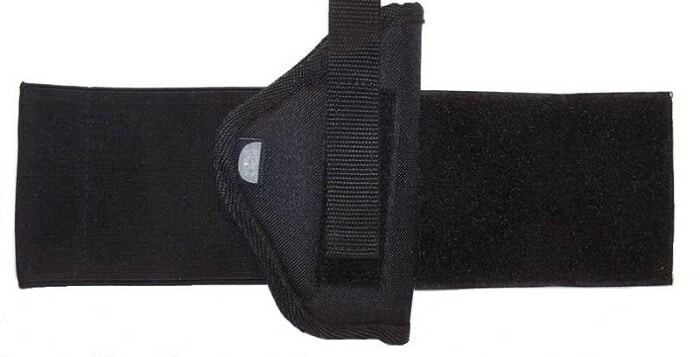 The neoprene material this concealed carry ankle holster is made of is comfortable, durable, and non-toxic. You can comfortably wear the holster over bare skin. Compact pistols, subcompact pistols, and revolvers fit in the holster. If you’re right handed, the holster should be attached to the left leg and vice versa. If you don’t plan on wearing your holster every day, then the UTG Concealed Ankle Holster is a good match for you. It features heavy-duty adjustable elastic and integral padding. The padded wrap-around strap has a hook and loop adjustment for a secure and comfortable fit. Those who move around a lot will find the UTG Concealed Ankle Holster to be right for them because it features an extra adjustable strap you can wrap around your calf. It also has double vertical security straps that keep the holster in place even during the most demanding tasks. If you choose to wear the weapon on the inside of your leg, it will be almost entirely undetectable. All compact and subcompact pistols fit inside the holster. The five ankle holsters listed above are some of the leading concealed carry holsters you can buy. They all have a high average customer rating and are comfortable to wear. Most of them are available in a left-handed version too. As always, check that the ankle holster is compatible with the type of gun you plan on using it for before purchasing. Do you have a favorite ankle holster for concealed carry? Let us know in the comments. Hey Buddy!, I found this information for you: "Top 5 Ankle Holster Options and Use Guide". 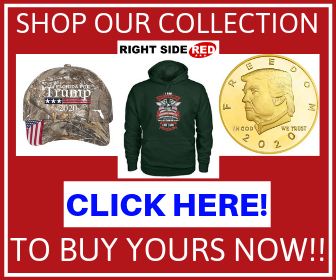 Here is the website link: https://thegunrights.com/ankle-holster/. Thank you.